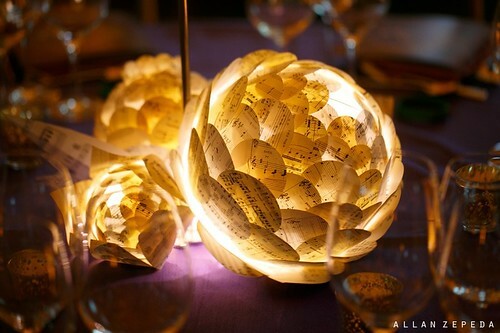 Today I'm excited to share gorgeous lighted paper lantern centerpieces that Allison Patrick of Aster + Quail was commissioned to make for the Sing for Hope 2012 Benefit Gala. 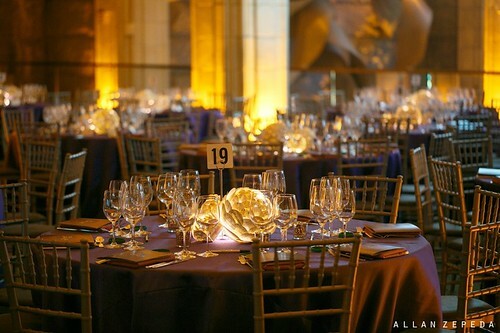 The fundraising event took place last month at Guastavino's in New York City. Sing for Hope is a non-profit organization that makes the arts accessible to all. They connect professional artists with underserved communities by organizing volunteer performances. 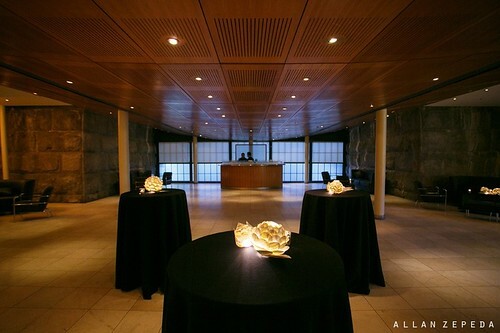 Gala coordinaters asked Allison to design table decor after noticing the artichoke pendant lanterns in her Etsy shop, Aster and Quail. Adding hand cut sheet music leaves and strands of battery powered LED lights to each trio of graduated lanterns resulted in a display that married perfectly to the musical occasion. Speaking of marrying... 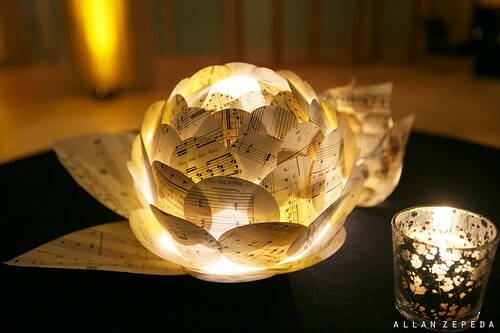 I can picture these lights at a wedding reception! Allie opened her shop just two years ago; its success led her to ask talented Elizabeth Van Buren of The Occasionist to collaborate. The shop remains open, but now there is also a lovely Aster + Quail website. 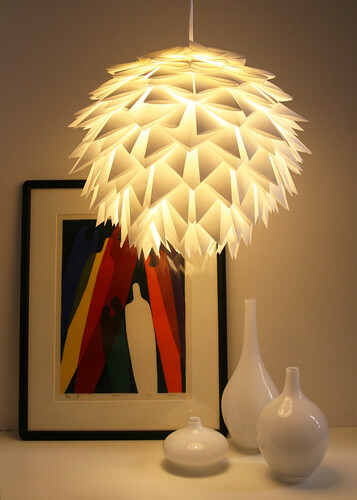 You might recall other paper lighting Allison has created.... for example, the faceted lamp and starburst pendant. Her newest design, a spiky pendant lamp, is composed of overlapping pieces of folded white paper.... such an eye-catching idea from simple materials. 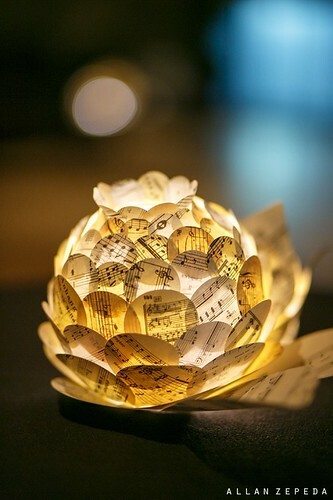 Allie shares tips on making the artichoke pendant lamp on her blog, The 3Rs. 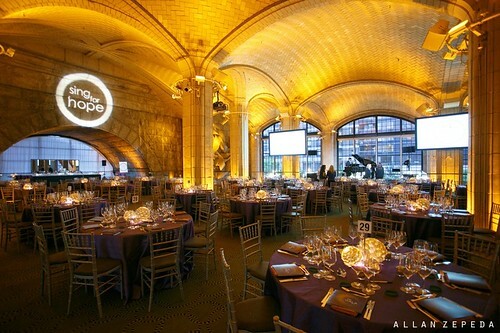 Photos of the Sing for Hope 2012 Benefit Gala by Allan Zepeda. The lanterns are positively enchanting! I love the soft glow of the old paper. These are really breathtaking. Love them! Thanks again for a beautiful feature Ann! Beautiful! And you're so right: perfectly married to the occasion. Very beautiful work...Such a nice feature!! Wish there were directions on how to make the lights. I went to the website (zipper 8) and they just have different pictures. I think they are supposed to be for sale but I couldn't find any more info.